APRIL 2019 PUZZLE - "Co-ed Debate"
John Covan on "Some Thoughts on Risk"
Our April speaker is NMSR's own vice president, John Covan, who will talk about "Some Thoughts on Risk". John will talk about Risk: Stressors (environment, terrorism, etc. ), Limitations (time, budget, technology, politics), Requirements (Must-do/must-not-do, etc. ), Strategies (prevention, avoidance, recovery), Examples (A-10 Warthog, Fukushima Daiichi nuclear disaster, Hiking Roraima Tepui), and some useful References. 7:00 PM April 10th, 2019, on CNM Main Campus, STUDENT RESOURCE CENTER (SRC), room 204. 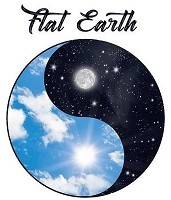 Bruce Lacey on "A Flat Earther's Journey and Perspective." Read the Web summary, which has additional images not included in the newletter! Watch the Entire presentation and Followup on NMSR's YouTube Channel! 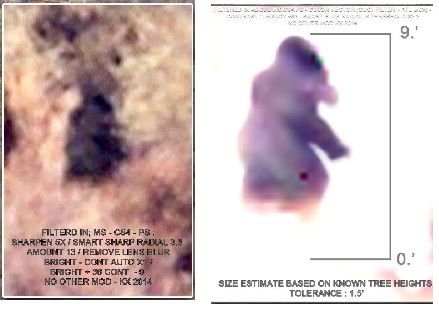 Socorro UFO Updates! Are these new explanations reasonable? PED Caves on Science Standards! News, Resources. 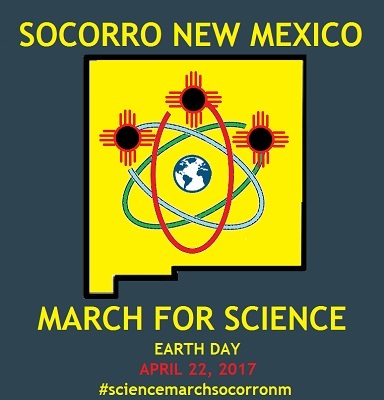 April 12th , 2017 NMSR Meeting: March for Science, New Mexico! 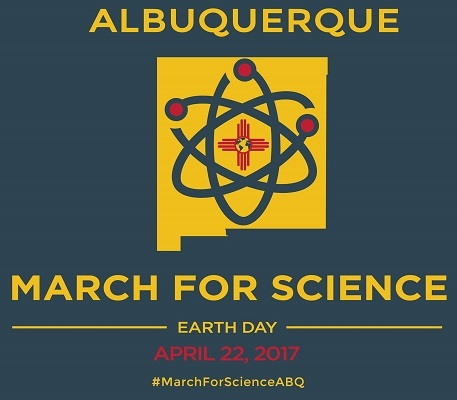 In addition to the Washington D.C. event, science marches are scheduled all over the country, and all over the world. 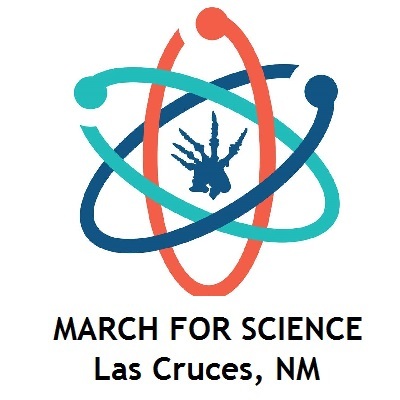 Here in New Mexico, marches have been organized by groups in Albuquerque, Santa Fe, Socorro and Las Cruces. At NMSR's April 12th meeting, representatives from some (we hope all) of these groups will describe what their cities are planning for Earth Day, to follow ten days later (April 22nd,2017). Mark your calendars! 7:00 PM April 12th, 2017, on CNM Main Campus, STUDENT RESOURCE CENTER (SRC), room 204. Dave Thomas is presenting a talk at this year’s CSICON 2016 meeting, in Las Vegas, NV. His topic is “War of the Weasels: An Update on Creationist Attacks on Genetic Algorithms,” and will be given in the Sunday morning session, October 30th, 2016. Abstract: Since Genetic Algorithms (GAs) are a class of computer programs that use evolutionary principles to “evolve” answers to difficult problems in math, physics, engineering and biology, they are a prime target of creationists of all varieties. This talk will trace the evolution of creationist attacks on GAs, from saying that they all need the final answers fed to them at every step (like Dawkins' Weasel experiment), to claiming that "active information" is being secretly introduced into GAs, and finally to the preposterous definition of "Specified Complexity," the claim that examples of evolving complexity don't even count unless they meet the absurd criterion of being as uncommon as tossing a fair coin heads up 500 times in a row. The game is rigged from the very start: evolution can never win under the rules adopted by "Intelligent Design". Is Arkencounter the Largest Timber-frame Structure in the US? Nope! 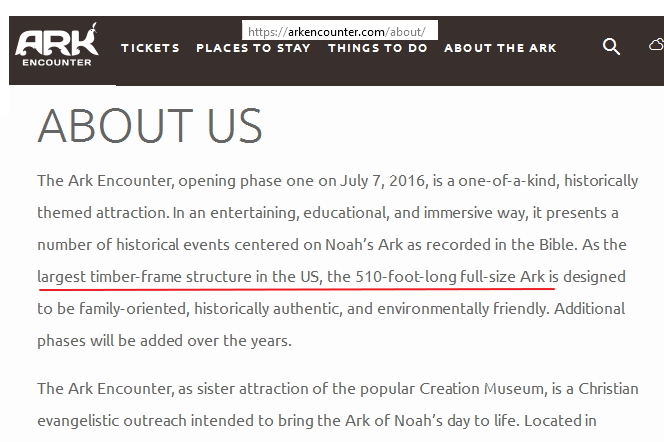 Ken Ham calls his 510-foot-long "full-size Ark" "the largest timber-frame structure in the US." Well, that claim is just plain false. 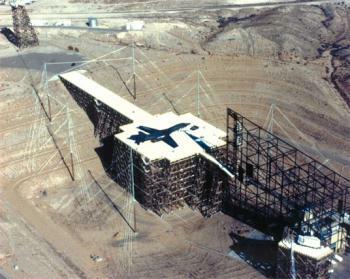 We New Mexicans get the chance to see an even larger timber-framed structure, visible from aircraft close to the Albuquerque International Airport.That 600-foot-long-plus structure is called ATLAS-I, also known as the TRESTLE. It is made entirely of wood - even the bolts are wooden or dielectric. It was using for EMP testing back in the day. In this animation (thanks, Python! ), the TRESTLE appears in white, and the Ark (to scale) in green. Read the full story at the Panda's Thumb, with many additional pix, and Comments! 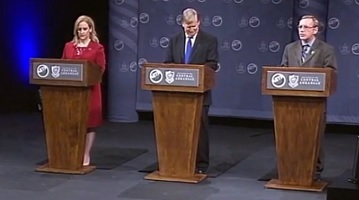 By the way, you know there’s another factor in this, Snerdley? A lot of people think that all of us used to be apes. Don’t doubt me on this. A lot of people think that all of us used to be gorillas. And they’re looking for the missing link out there. The evolution crowd. They think we were originally apes. I’ve always – if we were the original apes, then how come Harambe is still an ape, and how come he didn’t become one of us? I would still regard myself as an inerrantist, but an inerrancy in what the Bible actually teaches, not an inerrancy in what a reflexive literalism would demand of the Bible. Have I, as Bottaro suggests, left myself open to recanting the recantation? I have. Without the threat of losing my job, I see Noah’s flood as a story with a theological purpose based on the historical occurrence of a local flood in the ancient Near East. We STILL Don't Need No Stinkin' Target: 10 Years On, the War of the Weasels is Back! Ewert Responds! "Steiner Wars: An Exchange with Dave Thomas"
Nick Matzke published an amazing evolutionary analysis of creationist legislation over the last 10 years in Science, and NM's bills were right in there! "Very First Edition of NMSR Newsletter, from 1990! New Mexicans for Science and Reason has been proudly on its own for 25 years. But it had its origin in a national and even international movement to help spread science-based skepticism around the country and the world. Can't find the story you were looking for?? Try the 2013 News Page, or pages for 2012, 2011, 2010, 2009, 2008, 2007, 2006, 2005, 2004, 2003, 2002, 2001, or 2000.